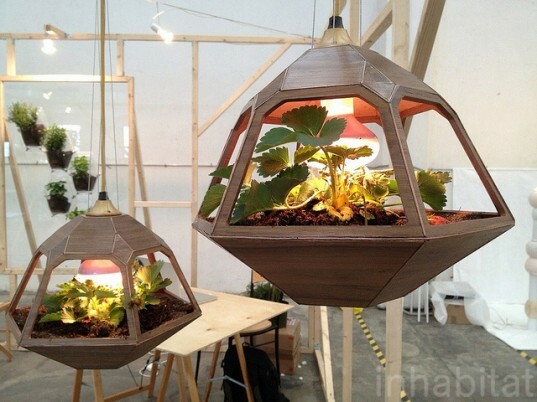 "Mexican-born, Netherlands-based designer José de la O unveiled a brilliant hanging pendant lamp that doubles as a vegetable garden at this year’s Milan Furniture Fair. Dubbed “Vicky”, the lamp uses a special bulb that provides increased light in the blue spectrum, which helps the plants grow. The designer sees the lamp not only as a source of light but also as a resource for growing food in urban environments that lack space for a garden."